« Arrr! …for th’ Blogworthy folk! 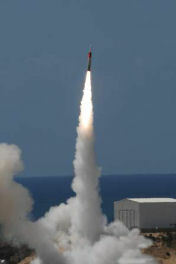 Recent modifications made to the Arrow enable Israel’s ballistic missile defense system to successfully intercept and destroy any ballistic missile in the Middle East, including nuclear-capable missiles under development by Iran.. The Lefties would like nothing more than for the U.S. and Israel to twiddle their proverbial thumbs while the Axis of Evil load their missles with chemical, biological, or nuclear payloads. Pffft. We should quake in fear from the the trilogy of bozos huh. Why.. because that lefty “Omelet” refused to allow the IDF the opportunity to crush the Hezbullies while they were surrounded. Then they tell us that Israel lost the war. It was the left wing politicians who lost the will to fight and die like real men. Israeli soldiers are not the prob bob. Remember The Israeli soldier who jumped on a grenade to save his comrades? Until this week, most of the soldiers killed in the fighting were young, single men or officers with young wives and small children such as Major Ro’i Klein. According to his soldiers, Klein, 31, said the Shema prayer as he jumped on a Hizballah grenade during the course of a battle, giving his life to protect his soldiers. He leaves a wife and two small sons. Hey lefties…give yourselves a beer break for cryin out loud. And by the by…Irans threats are not idle unlike your thinking processes lil lefties. The IDF can handle anyone including the Nazi regime in Tehran. Israel is developing and the world is benefiting. Hmmmm…seems like someone’s jus beggin to be bombed back into the stone ages. Shared with my fellow patriots at The Right Nation, The Amboy Times, Leaning Straight Up, Phastidio.net, , Right Voices, and The World According to Carl, thanks to Linkfest Haven Deluxe. This entry was posted on Friday, March 30th, 2007 at 4:24 pm	and is filed under Angel's Musings. You can follow any responses to this entry through the RSS 2.0 feed. Both comments and pings are currently closed. Next to our failed educational system that pops out liberal idiots like terrorists from a Muslim womb, the border problem is the gravest threat to our national security. Here’s the plan. So….a heap of towelheads get together in saudi (oil ) arabia and decide that the Israelis should go back to the pre-1967 lines and GIVE the homo cide bombers Jerusalem as a gift!!!! and this makes (dollars) and sense, how???? I have a great idea, Sir Camel riders, open your borders and INVITE all the arab refuse gees, to come live in the land of their brothers…perhaps a strip of condos next to the pyramids, or at the Mall of Mecca…let me know how this idea progresses over the next 500 or so years….. The British continue to stand by their evidence and assertions that their forces were inside Iraqi waters when the incident occurred, and the Iranians continue to trot out the sailors and Marines who are under duress and were likely coerced to make s….. Sounds like some good news for Israel. heh, I love that map. Doesn’t that say it all? Go Israel. Another great post! No other country has given away land in hope of peace, only to be reviled for it. May the Living God protect them as well. Muqtada al-Sadr calls for protests on April 9…. And perhaps your blog as been censored as well…. I wish Israel would just nuke Iran and put us all out of our misery. USELESS FOOLS! Spit! Oh tired me..sigh, lol! I forgot hun to wish you a great weekend and the post that says “L” in the name is me–I even forgot to type my name! Thats a first! ROFL! I hate to say it Angel, but I’m sure Russia is looking forward to being able to test their new countermeasures to our countermeasures. That’s the real problem and we need to start calling out the states that are enabling and supporting regimes like Iran, NK, and their little pet terrorist groups. Oh, and maybe actually begin supporting the pro-US opposition in Iran. very much on the tail of this one, but I would love nothing more than the Israelis to lay the wood on some one of a Syrian nature. Deep down, you know the Arabs fear the crap out of the Israelis and their will. The map says it all. I think you should make that part of the main page. 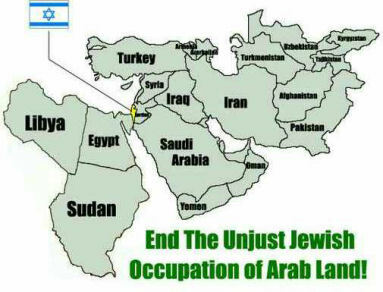 I’d like to do something similar, showing the Arab occupation of formerly Christian lands. After all, Egypt wasn’t always Muslim, but how it came to be they’d have us all forget. What people need to be worried about is not how far left or right a government or political party happens to lay claim to being [or accusing the other guys to be] but how far up or down the authoritarian/anarchist[libertarian] axis they are…. The one thing Se Ri Pak has after all those chasing her is this- She is the only woman in the top 15 with a Major Championship under her belt. Se Ri looks very tough at the moment, I think she is going to win today…. Today’s winner is Republican Governor of Nevada, Jim Gibbons…. Please stop in at the new location. I’m having a little house-warming. Tonight, we talk about a politicians who’s actually doing a good job, absurd equal time laws, the possibility of a 3rd party presidential candidate, and what’s happened to our culture…. Pets around the country have been affected by the contamination, and the true toll is unknown. Veterinarians have been fielding calls for the past several weeks from pet owners trying to figure out what to do next. The pet food manufacturers have a c….. I think I’ll stick to the Diet Sprites I been drinking since coming home from the hospital…. Thanks alls for the wonderful comments and links! bwaaaaaaaaaaahahahah, brooke! you are implying omelet is a man! But Rosie forgot 2 breathe before typing again….